Here is Mark 16:14-18, and Acts 28:25-28, “AFTERWARD HE APPEARED UNTO THE ELEVEN AS THEY SAT AT MEAT, AND UPBRAIDED THEM FOR THEIR UNBELIEF AND HARDNESS OF HEART, BECAUSE THEY BELIEVED NOT THEM WHICH HAD SEEN HIM AFTER HE WAS RISEN. AND HE SAID UNTO THEM, GO YE INTO ALL THE WORLD, AND PREACH THE GOSPEL TO EVERY CREATURE. HE THAT BELIEVETH AND IS BAPTIZED SHALL BE SAVED; BUT HE THAT BELIEVETH NOT SHALL BE DAMNED. AND THESE SIGNS SHALL FOLLOW THEM THAT BELIEVE; IN MY NAME SHALL THEY CAST OUT DEVILS; THEY SHALL SPEAK WITH NEW TONGUES; THEY SHALL TAKE UP SERPENTS; AND IF THEY DRINK ANY DEADLY THING, IT SHALL NOT HURT THEM; THEY SHALL LAY HANDS ON THE SICK, AND THEY SHALL RECOVER.” Mark 16:14-18. So, let me ask you...WHAT DO RELIGIOUS LEADERS DO ABOUT THESE SIGNS? “AND THESE SIGNS SHALL FOLLOW THEM THAT BELIEVE: IN MY NAME SHALL THEY CAST OUT DEVILS; THEY SHALL SPEAK WITH NEW TONGUES; THEY SHALL TAKE UP SERPENTS; AND IF THEY DRINK ANY DEADLY THING, IT SHALL NOT HURT THEM; THEY SHALL LAY HANDS ON THE SICK, AND THEY SHALL RECOVER” Mark 16:17-18. I remember a true man of God say, “if these signs following in these verses are the credentials of a Christian, then no Christians have lived on the earth since the first century.” It would be pretty funny, if it were not sad, to hear the explanations and twisting of Mark 16:14-18, by men of God who are leaders among aggressive evangelical Christians. Many of these brethren corrupt and change the Scriptures to fit into their denominational or church creeds and programs. They do not preach, “he that believeth and is baptized shall be saved”, “with signs following”. Instead they preach “he that believeth and is saved shall be baptized”. Then they conveniently forget the signs. When one of these religious Pastors, or Preachers, in this way twist the Scriptures they publicly condemn him...BUT...they wink at their own twisting. It is clear that “Signs” followed believing and baptizing and what God hath joined together let no man put asunder, UNLESS we can show that God LATER ON separated them. “For this is My blood of the New Testament, which is shed for many for the remission of sins.” Matthew 26:28. “And He came into all the country about Jordan. Preaching the baptism of repentance for the remission of sins.” Luke 3:3. “FOR THE REMISSION OF SINS.” This is stated in very plain language, which no man has the right to alter. 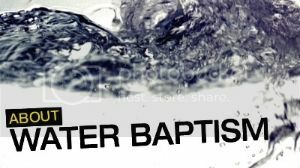 Why did John the Baptist baptize with water? “That Christ might be made manifest to Israel”; “for the remission of sins?” What was the significance of the water baptism received by Saul of Tarsus who was converted some months after Christ died on the cross? Hear his own testimony: “And now why tarriest thou? Arise, and be baptized, and wash away thy sins. 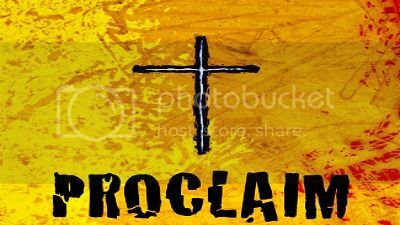 calling on the name of the LORD.” Acts 22:16. “BE BAPTIZED AND WASH AWAY THY SINS.” Very plain language is this. Paul was not “buried to witness to the world that he had been buried with Christ in baptism” as so many Children of God do today, because they feel, or have been told, that this is pleasing to God. W-a-s-h does not spell b-u-r-y. Note the order in Acts 8:5-13: Philip presented the message of Mark 16:14-18 in Samaria. The people believed Philip and God’s Word. Then Peter and John came several days later and laid hands on those baptized believers and they received the Holy Spirit. SO, WHEN WERE THE TWELVE BAPTIZED? Some Bible teachers, Pastors, and Preachers, teach that the Jews, including the twelve apostles, who were converted while Ya-hweh Yahuwshua, The LORD Jesus Christ, was on earth, received “kingdom” water baptism. THEY say ““Christian” baptism began on the day of Pentecost when the Body of Christ began.” Then they claim that the twelve apostles, with the one hundred and twenty, were the first believers to be baptized into the Body of Christ. However, this then runs them into trouble, because they admit that the Twelve were not RE-baptized. And, Of course, then they have more trouble with the message of Peter on the day of Pentecost and the sale of their houses and lots. Acts 2:41-43; Acts 4:34. These men, then, twist Acts 2:38 as they do Mark 16:14-16. They preach “repent and receive the Holy Spirit and be baptized with water” not even quoting the words “for the remission of sins” Then, of course,They forget about “the sale of their property” They say, “Well, that was a kingdom program”. But, they then preach “he that believeth and is saved shall be baptized”, but “no signs”! 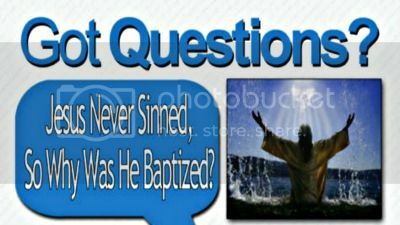 You can ask any intelligent spiritual preacher, “Does water baptism help to save a sinner?” “Will water baptism help get any one into the true Body of Christ Church?” “Does water baptism have any merit or value to help the believer’s standing in Christ?” Does the believer have to prove to God or to man that he is saved by receiving water baptism?” To every question there will be a prompt, dogmatic, unmistakable “NO”. If there had been any value whatever to water baptism in connection with the Pauline Gospel of Grace, by which we are saved during this Age of Grace, that greatest of all soul winners, the Apostle Paul, instead of saying “I thank God I baptized only a few of you” would have baptized every believer he saw and he would have boasted about it! Pay Attention, there is something radically wrong with all of the different water ceremonies practiced by Christians. It is high time that some of the Bible teachers in the groups of Fundamentalists, who are not afraid of men, should rescue their fellow Fundamentalists from their inconsistencies, and learn why Christians are wholly disregarding Ephesians 4:3-6. AND WHAT ABOUT FOLLOWING CHRIST IN BAPTISM? Now and then we will hear some fundamental Pastor call upon members of the assembly to follow Christ in baptism. Now, the LORD Jesus was circumcised thirty years before He was baptized. Luke 2:17-27. Right after He was baptized He went on the Jewish Sabbath into the Jewish synagogue, as had been His custom. Luke 4:16. He told the Jews to whom He ministered to obey the law and find the priest and present a gift, Matthew 8:1-4, Matthew 23:1-3. While Christ was on earth He was a Minister of the Circumcision, under The Law, sent only to Israel, preaching “the Kingdom of Heaven is at hand”, healing the sick. Romans 15:8; Matthew 15:24; Galatians 4:4; Luke 19:9; Matthew 10:5-8. While Jesus of Nazareth was being approved by God in the midst of Israel with signs and miracles, (Acts 2:22), so far as the Holy Scriptures are concerned, only ONE Gentile man received a blessing from Him, and that man loved the Jews and built them a synagogue. Luke 7:1-8. So tell me, should we tell believers to follow Christ to the Jewish synagogue on the Jewish Sabbath, OR, because it conveniently fits our “church creed”, JUST in the matter of baptism? Note Matthew 10:5 “go not to Gentiles”. If we are to go back to The LORD Jesus Christ on earth for our program today in this Dispensation of Grace, we will certainly run into an Old Testament religious Jewish program. Going the other side of the death and resurrection of the LORD Jesus we shall find the priests, offerings, sacrifices, the Scribes and Pharisees in Moses’ seat. We will not find the Dispensation of Grace for Gentiles, or membership in the Body of Christ. Let’s not join with those whose slogan is “back to Jesus”, because we are, NOW, as members of His Body, seated WITH Him in the heavenlies where He is far above. Let’s not go back to the land of the Jews under The Law. I mean, should we go back to where Jesus called the Gentiles “dogs”?!? Matthew 15:25-27. Some years after Christ was resurrected and ascended up into Heaven, God opened a door to the Gentiles. Acts 14:27. 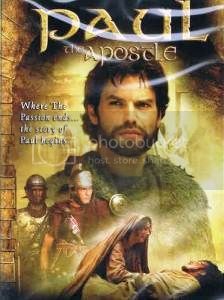 Paul was “the apostle to the Gentiles”. And the Apostle Paul said, “Christ sent me not to baptize”. Paul never once intimated that water baptism was a witness to the world that a member of Christ’s Body had been baptized into the death of Christ, buried and raised with Him. The baptism of Romans 6:3-4 is both meritorious and efficacious and IF there is any water there (which there is NOT), then it is water baptism that made saints out of sinners. To which we say, “God Forbid”! The following Scripture verses from Numbers 4 require all those who perform the service or the work in the tabernacle to be 30 years old: Numbers 4:3, Numbers 4:23, Numbers 4:30, Numbers 4:35, Numbers 4:39, Numbers 4:43, and Numbers 4:47. Hebrews 3-10. And then Psalm 110:4 tells how God the Father designated His own Son the Perfect High Priest according to the order of Melchizedek. All of these baptisms refer to one and the same Divine Baptism. In which a believer is baptized into Christ, into the death of Christ, into the resurrected Christ, into the Body of Christ. Colossians 2:11. Is God’s explanation of the baptism of Colossians 2:12, “without hands”? This Divine Baptism is what makes the believer a member of the true Body of Christ Church and makes him complete in Christ. Colossians 2:10. Please respond to the Question in the Video in the comments below. God sent Paul to the Gentiles (Ephesians 3:1-9) and did NOT send him to baptize (1 Corinthians 1:17). Instead, according to Ephesians 4:5, there is ONE baptism for today, 1 Corinthians 12:13, "For by ONE Spirit we were all baptized into ONE Body, whether Jews or Greeks, whether slaves or free, and have all been made to drink into ONE Spirit." The Holy Spirit performs this Baptism, NOT an apostle, deacon, or pastor. And notice that it is not a baptism with water. If we are going to base our knowledge of God's salvation upon God's Book, the Bible, if we are going to act for time and eternity in this most important of all transactions and receive from God His salvation, THEN let us BELIEVE the fact...that is, "that Christ died for our sins according to the scriptures; And that he was buried, and that he rose again the third day according to the scriptures" 1 Corinthians 15:3-4. Therefore, the redemptive work of Christ is a finished work so far as the salvation of man's soul is concerned; and we must KNOW that He will return for the redemption of the body; to save man, soul and spirit. Now...by BELIEVING, we are going to receive this last statement AND this next statement at full face value, without discount, without even the shadow of a doubt, without question or criticism..."By His own blood He entered in ONCE into the holy place, having obtained eternal redemption for us." Certainly it was good news when a blind man heard that he could receive his sight in the name of Jesus of Nazareth. It was good news when a brokenhearted mother or father learned that their dead child could be brought back to life in the name of Jesus of Nazareth. And here is the record of the ministry of the twelve apostles, “they departed, and went through the towns, preaching the Gospel, and healing everywhere.” Luke 9:6. This is what Christ, in Matthew 10:6-8, told the Twelve to do. He did NOT command them to go to Gentiles and preach that they could be saved through faith in the crucified and resurrected Christ. However, this IS “OUR Gospel” in this present Dispensation of Grace. 2 Corinthians 4:3-6. We have only to compare Luke 9:6 with Luke 18:31-34 to learn that the twelve apostles, during the many months they were preaching “the Gospel of the kingdom,” had not the slightest knowledge of the Gospel of 1 Corinthians 15:1-4; that Christ died for our sins. Read very carefully Luke 18:31-34. The kingdom of God, or the kingdom of heaven, that was at hand FOR Israel, when Jesus of Nazareth and His twelve apostles were preaching “the Gospel of the kingdom” in the land of the Jews, will be at hand AGAIN when the King shall come back. AFTER this Dispensation of Grace “ comes to a close, the Gospel of the Kingdom” shall be preached again as a witness among all nations. 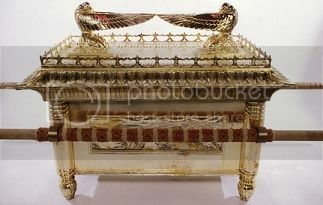 Christ's return to build again the tabernacle of David. This kingdom program is prophesied many many times in Israel's Old Testament Scriptures. This means that the kingdom WILL BE restored to the NATION Israel. Acts 1:6. Romans 11:25-29. Then because of Israel's belief and salvation, the Gentiles will come to Israel's Messiah and LORD. The Gentiles will have a place in SUBJECTION TO Israel. So, in “the Gospel of the kingdom,” Israel is in favor with God, and Israel's King and David's throne are in the program, and the Gentiles follow Israel into the kingdom. This is the prophesied Gospel of the Kingdom. Wonderful earthly blessings and physical health accompany this Gospel; whereas in this present Dispensation of Grace, believers are to be partakers of the afflictions of the Gospel. 2 Timothy 1:7-9. The Gospel of the kingdom will be given to the nations when and because Israel believes that the LORD Jesus Christ, Ya-Hweh Yahuwshua, is their Messiah. 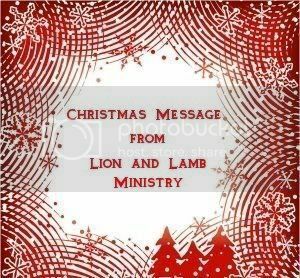 Ok, now pay attention, THIS present, un-prophesied period began when God set His kingdom nation aside, and sent salvation DIRECTLY to the Gentiles to PROVOKE Israel to jealousy. (Romans 11:11; Acts 13:46; Acts 18:5-6; Acts 28:25-28; Romans 11:15; Romans 11:25-26). When the Gentiles obtained mercy, because of Israel's unbelief, God called His salvation message for the “far‑off” Gentiles “the Gospel of the Grace of God.” (Romans 11:30; Ephesians 2:8-13). So “the Gospel of the Grace of God” was and is preached to Gentiles when Israel is in disfavor with God and when the tabernacle of David is fallen down. In the verses immediately preceding this ninth verse the Holy Spirit led Paul to write that the PERVERTED Gospel, a mixture of law and Grace, was NOT another Gospel. So from these verses there are sincere faithful servants of the LORD who teach that there is no Gospel in the Bible other than 1 Corin­thians 15:1-4, the fact that Christ died for our sins, was buried, and raised again; all in fulfillment of prophecy. (Acts 13:29-30) (Luke 18:31-35). In these Scriptures we read of “the Gospel of the Kingdom” and “the Gospel of the Grace of God.” Are these two Gospels identical? The LORD Jesus, about 33 A.D., declared that the end would come when "the Gospel of the Kingdom" had been preached as a witness among all nations. About 25 years later the Aposlte Paul left Ephesus to end his course in preaching “the Gospel of the Grace of God.” About 67 A.D. Paul declared that he had FINISHED his course. (2 Timothy 4:7.) A little later his earthly career ENDED. About the time Paul declared that he had ENDED his course he wrote that the Gospel HAD come into all the world and was preached to every creature which is under heaven. But now, understand this, when Christ said, in Matthew 24:14, the end would come, He was OBVIOUSLY NOT referring to the end of PAUL's earthly ministry. The end to which Christ referred in Matthew 24:14, did NOT come when Paul's Gospel had been preached in all the world. You see, Israel's tribulation is the chief subject of Matthew 24. And the end of the Age, in THAT chapter, must be the end of an Age different from this present Age of Grace. In 1 Corinthians 4:1-3 we learn that the servants of Christ are instructed to be faithful stewards of the Mysteries of God. In 1 Corinthians 1:10 these servants are told to speak the same thing, to be perfectly joined together in the same mind and in the same judgment; not to be divided. The LORD's stewards are NOT perfectly joined together in the same mind concerning the meaning of the Apostle Paul's statement in Galatians 2:7; and they certainly do NOT speak the same thing in explaining the meaning of this verse. On the contrary, some of the LORD's servants not only differ with other stewards of the Mysteries of God concerning the meaning of Paul's statement in Galatians 2:7, but they are very ungracious in their attitude toward those who disagree with them. They permit themselves to be stirred to indignation and disgust, if not contempt and hatred, against those who do not accept their exegesis. I just finished reading an article put out by the Reformation Theology people, that expressed what I have just written. If any intelligent Christian should read Galatians 2:7, and some “theologian” should not interfere with his thinking, what would that Christian decide after reading, “but contrariwise, when they saw that the Gospel of the uncircumcision was committed unto me (Paul), as the Gospel of the circumcision was unto Peter?” That Christian would surely decide the Apostle Paul wrote to the Galatians that the LORD had committed unto him (Paul) “the Gospel of the uncircumcision,” and unto Peter, “the Gospel of the circum­cision.” If there is any purpose to language, that Christian would decide that “the Gospel of the uncircumcision” and “the Gospel of the circumcision” are NOT one and the same Gospel. In the Greek the genitive is used. The word is “of” and not “to”. The Gospel “of” the uncircumcision. The Gospel “of” the circumcision. You follow? The servants of the LORD, who happen to be Pastors, Preachers, and Teachers, who insist that the Apostle Paul meant to say that the same Gospel that the risen Christ authorized him to preach to the Gentiles He gave to Peter for the Jews, are the very same men who insist that Peter and his associates, who were Christ's apostles before Paul was converted, went all over Asia and Europe preaching to Gentiles, after Paul was converted. In Galatians 2:9 they agreed to go to the Jews. If they agreed to go to the Jews and then went to the Gentiles, they did not do what they agreed to do. These Preachers and Teachers acknowledge that they get their ideas as to the evangelization of Gentiles by the twelve apostles from “church history”, and NOT from the Bible. Remember, it was Peter and James who agreed to go to the Jews at the time they declared that God's program was to visit the Gentiles and take out of them a people for His name. Peter and James, by going to Jews, could not help God to take out from the Gentiles a people for His name. Compare Acts 15:14 and Galatians 2:9. Also Acts 15:14 with Ephesians 2:15-18. Now keep in mind that the very same Bible preachers, and teachers, who teach that there are not two Gospels in Galatians 2:7, but the same Gospel to be taken by different apostles to different groups, also teach that God's program for this age was declared by Peter and James, in Acts 15:14. They ALSO agree that the decision of Galatians 2:9 had the sanction of the LORD. Surely we must all be agreed that the LORD could not use Peter and James to visit the Gentiles, if He sent them to preach to the Jews. Did they go to the Jews, as they agreed in Galatians 2:9, or did they go to the Gentiles? In answering this question read Galatians 2:11-14. In these verses we learn that because of James and other Israelites, the Apostle Peter would not have fellowship with saved Gentiles. Do you believe that the LORD would send to the unsaved Gentiles James and Peter, when James would not permit Peter to eat with saved Gentiles? Ha, I don’t think so! Now strange as it may seem, the very same Bible preachers, and teachers, who teach that God's program is Acts 15:14 and that Peter and Paul preached the same Gospel, teach that at the time James and Peter declared that God was visiting the Gentiles to take out a people for His name, God's order was, “to the Jews first and also to the Gentiles,” in harmony with Romans 1:16. They say that this explains why the Apostle Paul, before and after the declaration of Acts 15:14, went to the Jews before he went to the Gentiles. BUT! This explanation cer­tainly clashes with their explanation of Galatians 2:7, and Galatians 2:9. If God's program was to visit the Gentiles and the Apostle Paul was to go to the Gentiles, why did Paul go to the Jews first? Why did Paul go to the Jews at all, if Galatians 2:7 means that Peter was to go to the Jews with the same Gospel that Paul was to preach to the Gentiles? Why do Bible preachers and teachers, who are bitterly opposed to other servants of the LORD who insist that Paul was given a distinctive ministry and message for the Gentiles, (like I do), diligently search church history to prove that Peter and his fellow apostles went to many different countries to preach to the Gentiles when they explain Galatians 2:7-9 to mean that the Apostle Peter was to go to the circumcision and the Apostle Paul to the uncircumcision? There is something radically wrong with such thinking that these preachers and teachers are putting forward, if it can be called “thinking” at all! "Of a truth I perceive that God is no respecter of persons." Acts 10:34; "My brethren, have not The Faith of our LORD Jesus Christ, the LORD of Glory, with respect of persons." James 2:1. 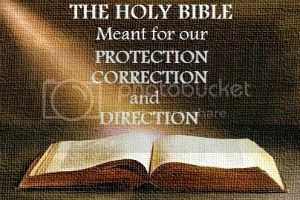 Do not follow any man, or group of men, in the interpretation of the Holy Scriptures. Hear spiritual men of God and then search the Scriptures yourself. Do not let those of reputation scare you away from the high and holy truths contained in God’s Word. There are several kinds of false teachers, whether they call themselves pastors, teachers, and preachers. There are false teachers who make false statements and give false interpretations of the Word of God. Then there are men, really saved men, who make false accusations against their Christian brethren, with whom they disagree as to the application of 2 Timothy 2:15, “rightly dividing the Word of truth.” And, being unable to answer their brethren with the Word of God, they resort to exaggerations and false charges as to their teaching. They try to intimidate Children of God who are untaught and un-established, and keep them from obeying God’s Word as expressed in Ephesians 4:3 and Ephesians 3:9, by maligning and misrepresenting servants of Christ, who would do the will of God and lead Children of God into the deeper truths of God. “But What about Church Creeds”? “Church creeds” may be both a help and a hindrance to the Child of God in Bible study. They may both aid and limit the honest searcher after Divine Truth. God’s Truth cannot be fully set forth in a set of “church rules” and a “written doctrinal statement”. Spiritual tact is always a virtue, but most religious diplomacy is equivalent to compromise and cowardice. Humanly speaking, nothing is more beneficial than sweet spiritual fellowship with fellow members of the Body of Christ, but when that fellowship is maintained at the cost of compromise with God’s truth, with disobedience, or silence concerning some God-given conviction, it borders on fellowship with darkness. For this very same reason there are many Children of God, today, who cling to a program and message of Grace AND religion MIXED. Now, I can't say this strongly enough...such a mixture is an ABOMINATION in the sight of Christ. However, to religious or semireligious people it is an "inoffensive" message. The Holy Spirit, through the Apostle Paul, in writing to the Galatians, declared that religion would remove the offense from the cross. This is EXACTLY what Satan wants the Child of God to do. That is, to mix in with the Grace of God enough religion to frustrate that Grace. In that same Epistle, the Apostle Paul said, “if I please men, I should not be the servant of Christ.” Galatians 1:10. For a good position, for more recommendations and less condemnation, for more and larger audiences, and more and larger offerings, it is a great temptation to preach sermons that will please the committee appointed to select the pastor or evangelist and to be careful not to offend the good givers. In that same Epistle to the Galatians we find a splendid example of a servant of the Lord, one of the “big” leaders, trying a bit of religious diplomacy. Read Galatians 2:9-15. Peter walked not uprightly according to God’s truth, “fearing them which were of the circumcision.”, and many Children of God are falling into this same trap today. Peter received a very severe, but a just, rebuke from the Apostle Paul for this compromise. Perhaps he was saying within himself, “the spirit is willing, but the flesh is weak.” But when the “circumcision”, or the “water baptizers” or “Sabbath-keepers”, or any kind of religious leaders, get after the Bible teacher or Christian worker, who is satisfied with The LORD Jesus Christ, and His pure message of Grace, without religious fetters...woe unto him! Religious people DO know how to persecute. Religion in the Child of God always counteracts the Fruit of the Spirit and changes love into hate. Surely we must admire the Apostle Paul for his bold, noble, uncompromising stand against the pillars of the church and the religious “somewhats”. Galatians 2:6-9. But it cost him some friends, including Barnabas. And what it cost him to completely deliver the message of Grace from every religious entanglement, including legalism, ritualism, signs and ordinances, is told in any 2 Timothy 1:15, “All they which are in Asia be turned away from me.” At that time Paul was in prison for preaching the unsearchable riches of Christ, and proclaiming the Mystery, which was a message from the RISEN Christ that SUPERSEDED the entirety of the religious program foretold by the prophets of Israel. Colossians 4:3; Colossians 1:24-29. The “pillars” and religious “somewhats” in the world’s various Fundamentalist Associations, are today the great enemies of the Blessed Truth in the Word of God, known as “The Mystery”, The joint Body of Christ, made up of both Jew and Gentile without distinction, saved by Grace alone, through The Faith, the Glorious truth of the Child of God’s full identification with Christ, by a Divine baptism NOT made with hands. These “pillars” and religious “somewhats”, not only close their pulpits to that most wonderful truth of the Scriptures set forth in Ephesians and Colossians, but they actively boycott, persecute, ostracize, and dis-fellowship other servants of Christ, who do. They contradict their own testimony by preaching, that the believer is accepted in Christ, complete in Christ, eternally and securely identified with Christ, as a member of His Body, blessed with all spiritual blessings and seated with Him in the highest heavenlies; all on the grounds of the shed blood of the spotless Son of God; all by the pure unmerited grace, nothing by human endeavor, practice or attainment. They claim this, BUT THEN, on the other hand, they withhold the right hand of fellowship from those who refuse to agree with their religious water baptism ordinance, admitting that they cannot quote one single verse of Scripture authorizing one member of the Body of Christ to baptize a believer who is already a member of that same Body. They manifest anything but the love of Christ toward the fellow-members of the same Body who are endeavoring to keep the unity of the Spirit on the basis of that one Divine baptism which makes believing sinners members of that Body and joined to Christ the Head. One of the “pillars” among the Fundamentalists of this country, who is one of the “somewhats”, has warned other Fundamentalists to shun Christians who do not accept the water ceremony (water baptism), and to have no fellowship with them. The Pharisees are not dead. 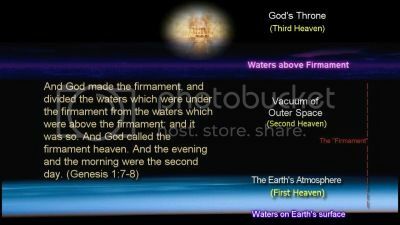 Virtually all of the leaders among the Fundamentalists are agreed concerning the important fundamental doctrines, but concerning water baptism they are divided and sub-divided into confusion, uncertainty and sectarianism. The Body of Christ is truly menaced with a state of Baptism Babylon, destroying the unity of members of the Body of Christ and hindering believers from obeying Ephesians 4:3 and Ephesians 3:9. With many Christians the question is still the question of John 7:48 “have any of the rulers or of the Pharisees believed?” The question should be, “what saith the Scriptures, rightly divided?” The rulers and the Pharisees were WRONG in those days, and those who believed what they believed erred concerning the truth. We trust that we may encourage many Children of God to be true searchers of the Holy Scriptures, and get their eyes off the “pillars” and the “somewhats”. Search the Scriptures. Remember that no man, or group of men, has reached the finality of truth. No Child of God has any monopoly on the only infallible teacher, the Holy Spirit. Always keep in mind that some of the most recognized “big men” among Bible teachers today are the real enemies of the most blessed truths of the Bible. Sacrifice the praise of men for the praise of God, which shall continue into the ages to come. Do not compromise for advantage, for a job with a good income. God can still open doors. Philippians 4:19 is still true: “But my God shall supply all you need according to His riches in Glory by Jesus Christ.” Get your eyes off of men. Look unto the Author and Finisher of our Faith. Be as the Bereans in study, “These were more noble than those in Thessalonica, in that they received the word with all readiness of mind, and searched the scriptures daily, whether those things were so.” Be as Timothy, a good soldier of Christ, remembering those words of the Apostle Paul, “Be not thou therefore ashamed of the testimony of our Lord, nor of me His prisoner: but be thou partaker of the afflictions of the gospel according to the power of God.” 2 Timothy 1:8.